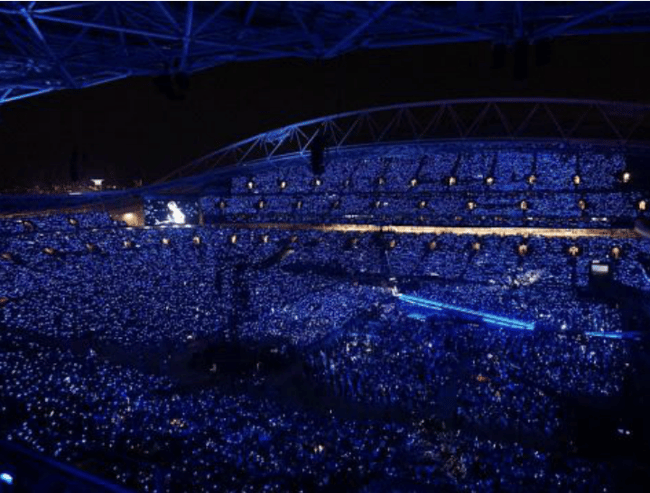 Taylor Swift's 1989 tour has come to Sydney. 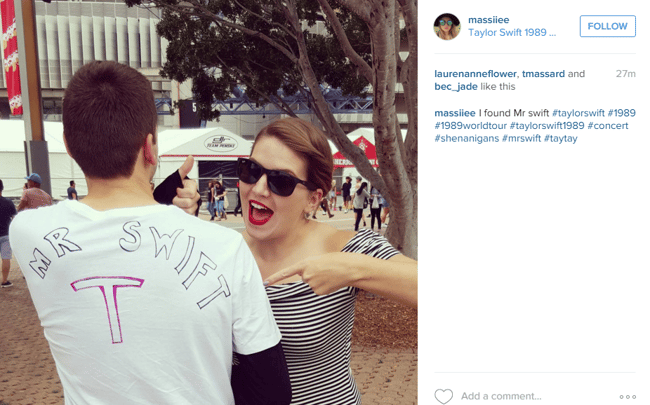 The best moments from Taylor Swift's first Australian concert. 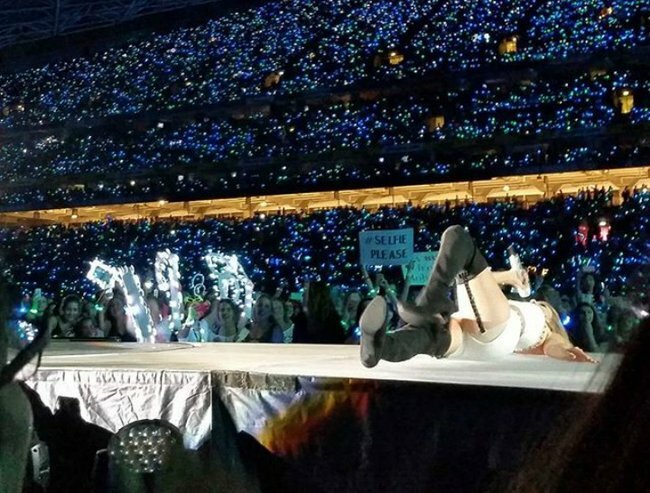 Oh, Taylor. 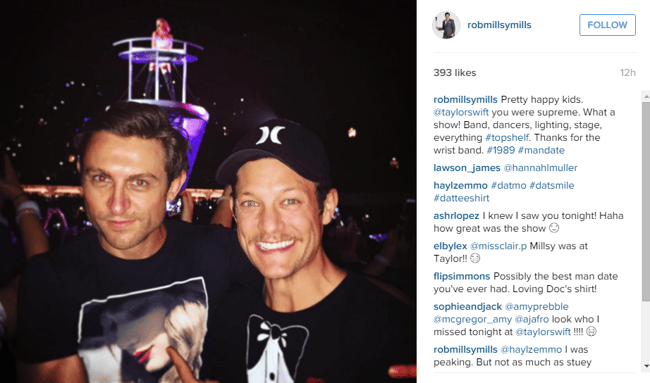 Be still our beating hearts. 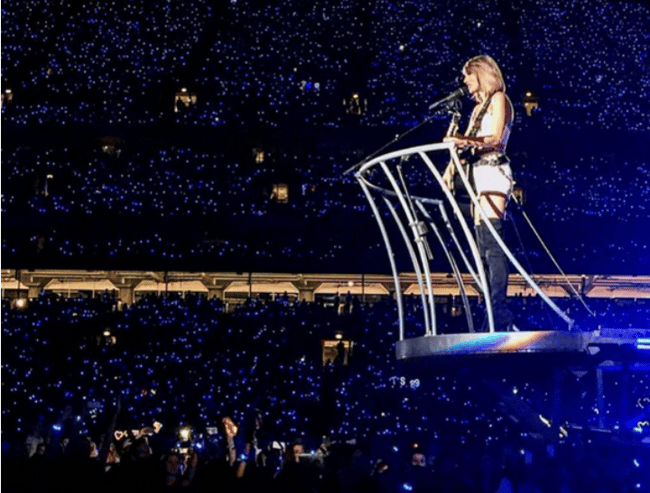 Some have called Taylor Swift the Queen of Pop. 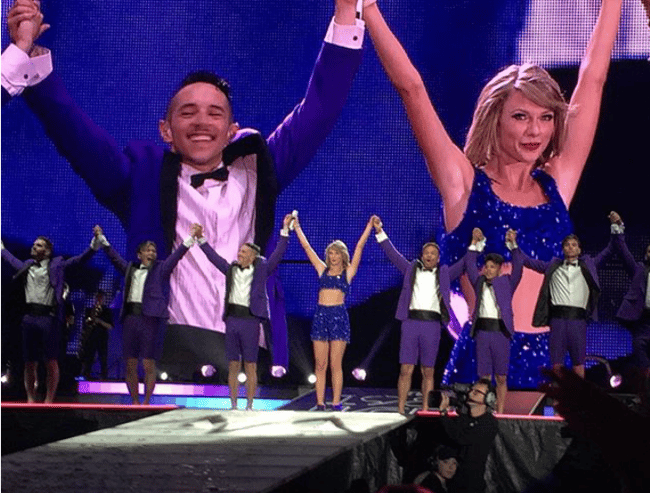 And after her first Australian show in Sydney last night there is no doubt she officially owns that crown. Weren’t able to get a ticket? Not to worry. 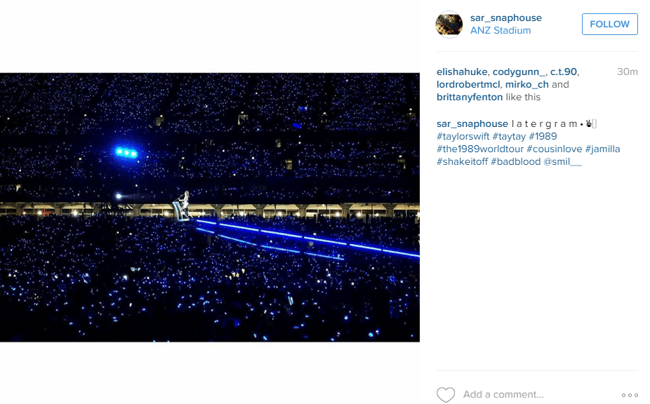 We’ve collated a list of the most fabulous moments of Swift’s concert last night. 1. The moment she arrived. She won the crowd over straight away. That’s a black leather skirt, an utterly dazzling, sparkly jacket and just a casual 20 male dancers having a jolly good time around her. Walking and waving to the crowd. 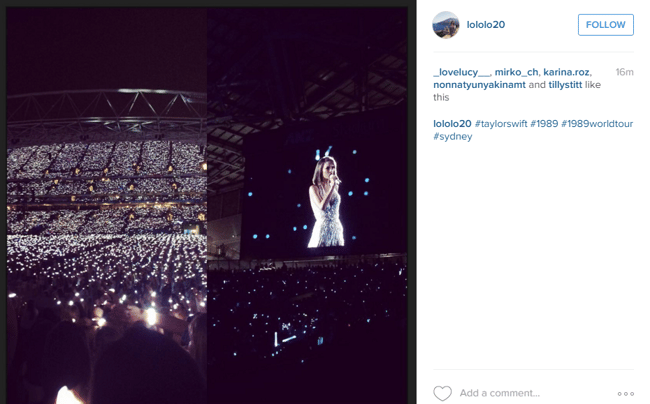 Taylor definitely took her outfits to the next level for her Sydney concert. 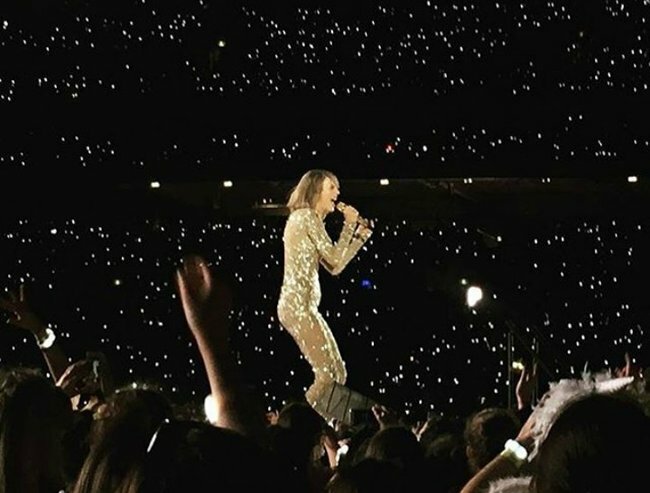 Whether dressed as a human disco ball or a full leather suit, these outfits rocked as much as her music. Look at that jacket. Look at it.Image via Facebook. Oh, the white suit. Power.Image via Instagram. 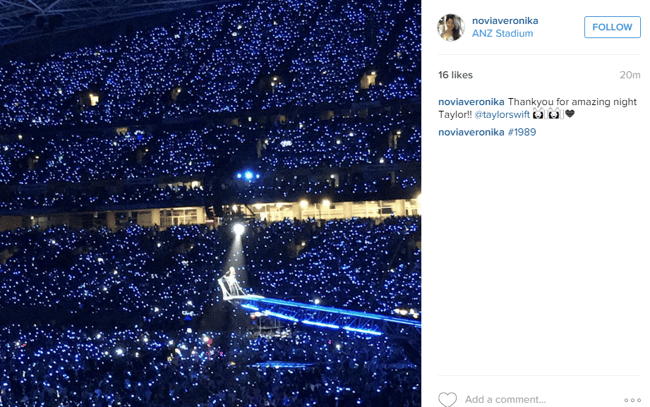 This little blue number.Image via Instagram. 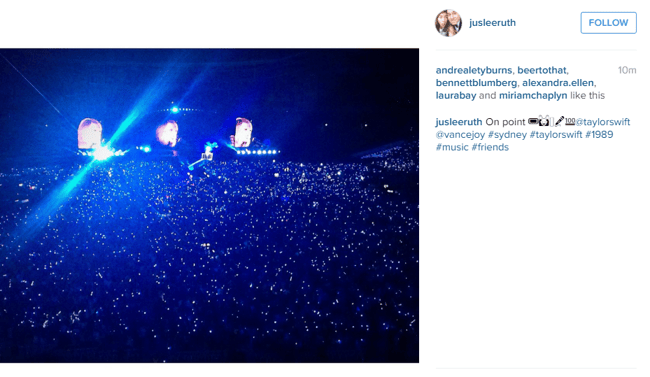 Much much wow.Image via Instagram. 3. The crowd was amazing. 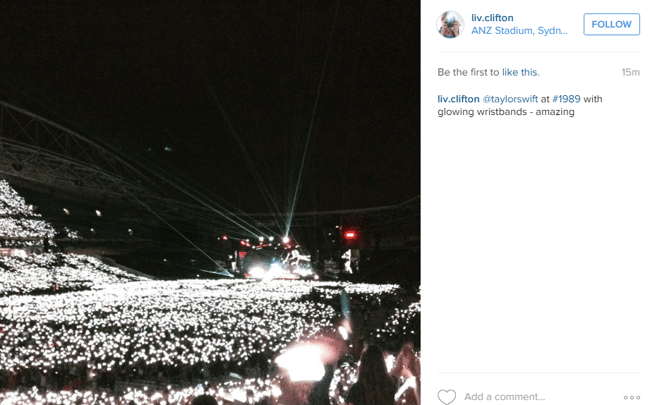 Last night, 76,000 people rocked up to sing and dance and marvel at Tay-Tay. 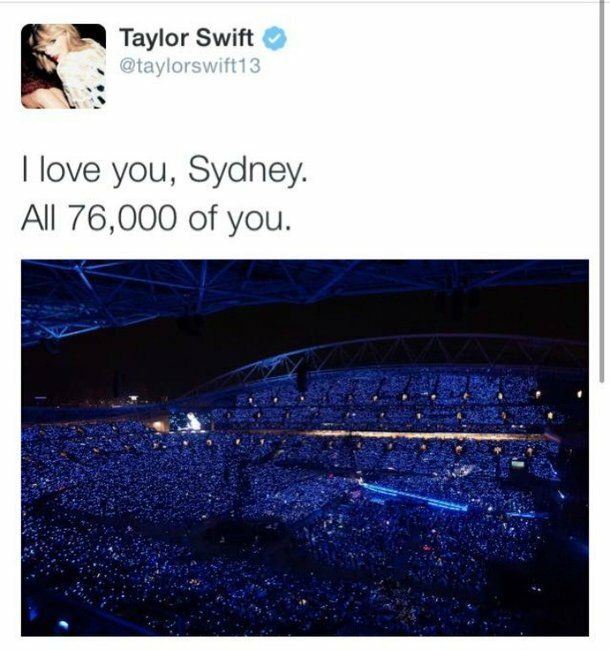 That is one of the largest EVER crowds she has ever performed in front of. 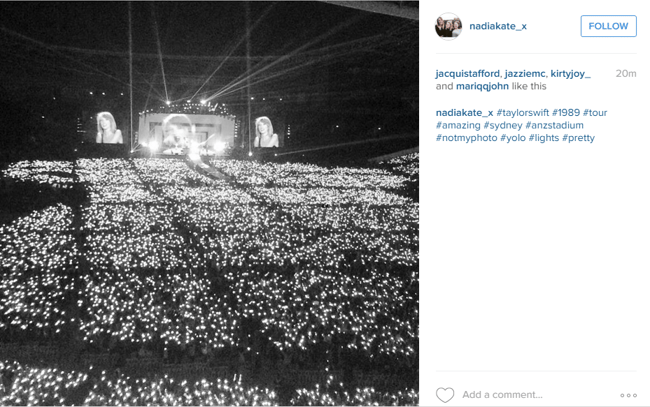 And, the largest crowd of Taylor Swift’s 1989 tour. All of it. Claps to Australia for absolutely nailing it. 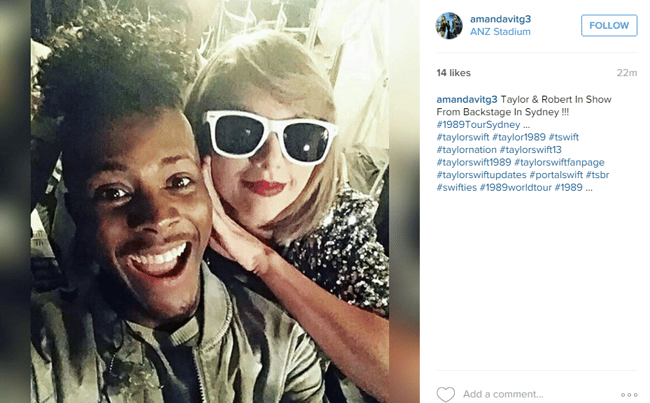 Even Taylor was pretty stoked. 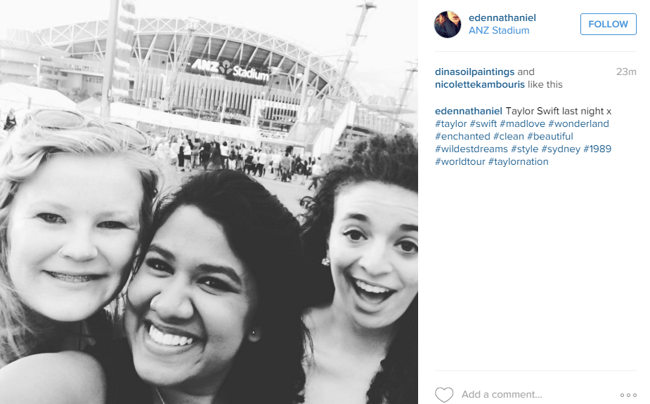 Even before the concert began people were kind of losing their minds about actually seeing Taylor Swift. 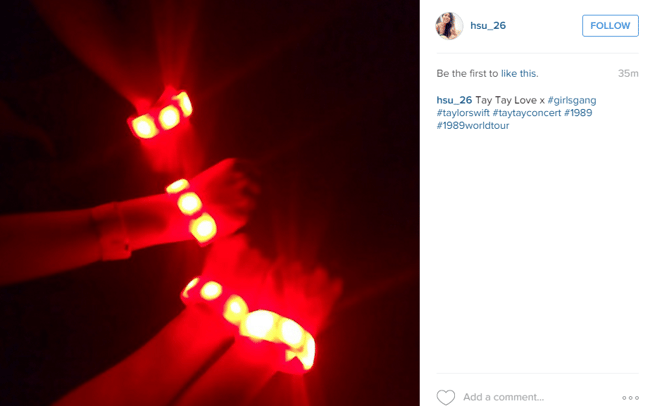 Swifty fans did not disappoint in their reaction to her mindblowing concert. 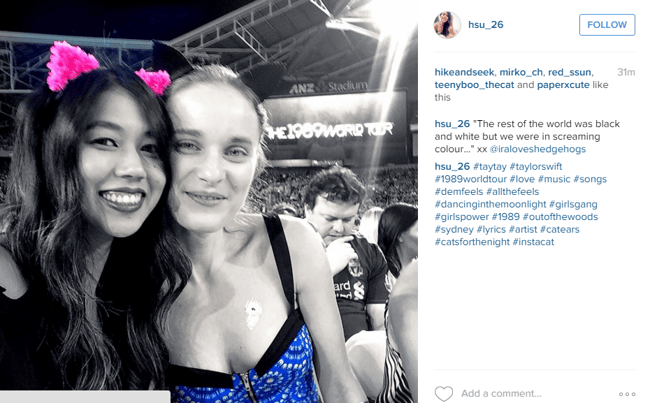 Scroll through the gallery to check out some of the best responses — and even some of the unlikely politicians (Scott Morrison, we’re looking at you) who turned up. 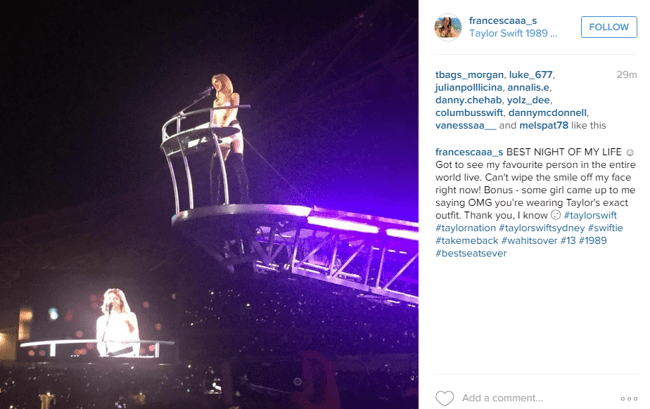 Taylor Swift was minus a special guest last night, but she’s forgiven because this show was being filmed for the official DVD. 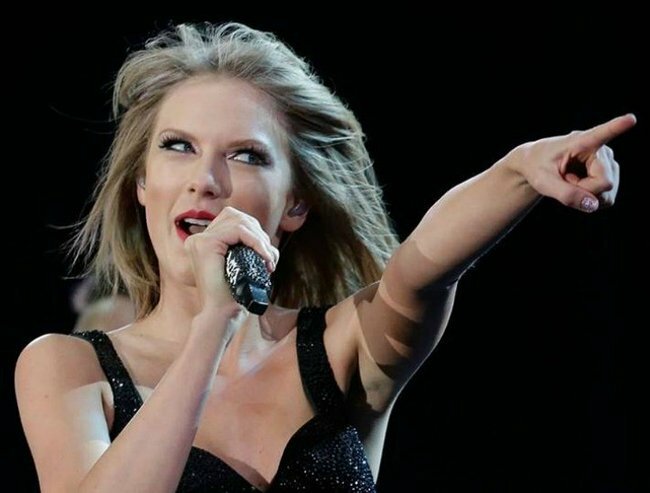 Here at Mamamia we are still campaigning for #Chin4TayTay. Do you have any moments to add?